If you haven’t noticed, 90s fashion is back! Micro sunglasses, chunk sneakers, fuzzy crop tops are all reappearing on runways and fast fashion sites. 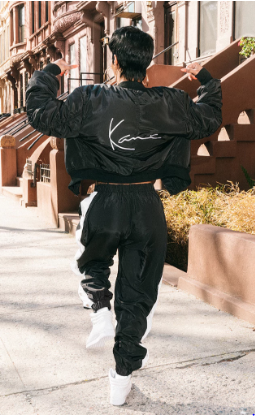 Keeping up with the trend, Pretty Little Thing has collaborated with Karl Kani for a capsule collection. This is PLT’s first brand collaboration. The collection is 45 pieces- it includes denim jackets, bodycon dresses and rugby shirts. Singer Teyana Taylor was the muse for the campaign and of course she killed it. Last night, Teyana celebrated the collaboration along with Carl Williams, Iman Shumpert, Chris Brown and tons of other celebrities. By the time I got up this morning, just about everything was already sold out. PLT has not announced if the items will be restocked, but if they do, here’s my wishlist! Everything in the collection is under $60. Fingers crossed for a restock!